Combining Chaps. 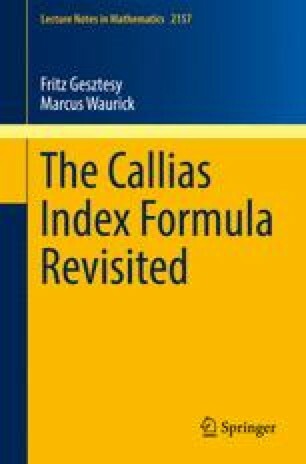 3 and 7 one obtains a first formulation of Callias’ index formula for L for the special class of admissible potentials Φ. This class is indeed rather special as we show at the end of Chap. 10 that in this case the index of L vanishes.